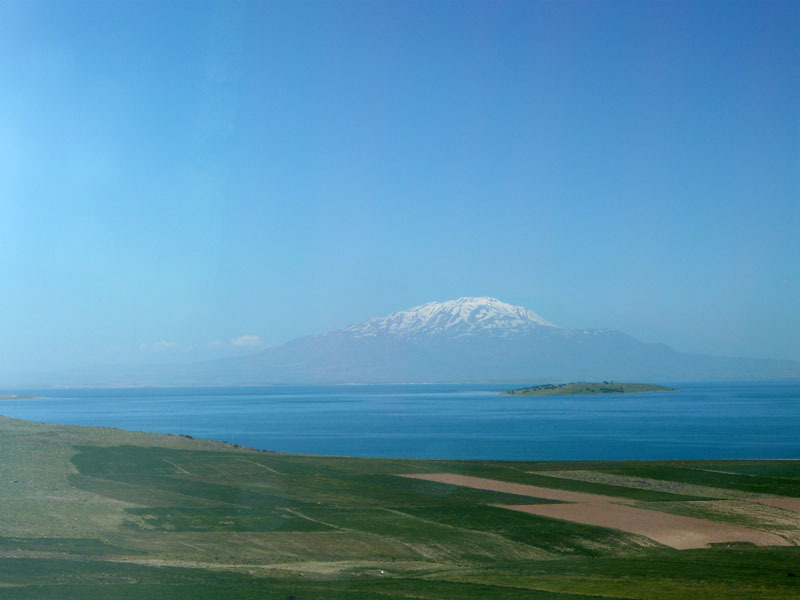 Urartu seems to have been a geographical term used by the Assyrians to describe the highlands later known as Armenia - between the Caucasus and Mesopotamia: it is probably connected with the Biblical Ararat, the highest mountain in the area (5,137 m). The people called themselves Bianili, probably the origin of the Armenian "Van". The name "Armenia" was first used by Darius (in the inscription at Bisitun) - in the Old Persian version (it's called Urartu in the Babylonian). The Armenians [in Xerxes' army] were dressed and equipped just as the Phrygians were, since they were colonists of the Phrygians. The story of the discovery of Urartu is in itself fascinating - inspired as it was by the story of Semiramis, legendary Babylonian queen, whose pursuit of Ara the Beautiful, the one man who dared spurn her advances, led her to invade his land of Armenia, and found the city of Van. A French antiquarian society was inspired by this tale to send, in 1827, a young professor to investigate. Young Schultz found - and copied - inscriptions in an unknown language, and discovered a bilingual stele (Kelashin Stele: below) on the Iraq/Persian border, which would have held the clue to its decipherment. Alas, poor Schultz was murdered before he could properly transcribe this vital evidence: and owing to its inaccessibility it remained uncopied until 1976, when an Italian expedition (with full military protection) finally managed to do so. 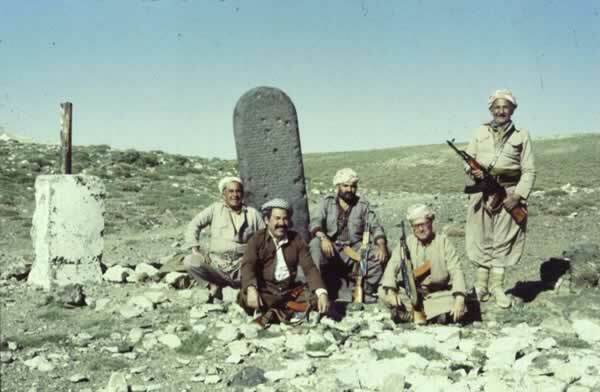 This picture showing Kurdish Peshmerga fighters recently posing by it may help to explain why scholars lost out for so long. The Urartians held on to their kingdom for around 250 years, facing and withstanding pressure from the ruthless Assyrians to the south of them, and the Cimmerians and Scythians to the north. They used cuneiform script, in their own language, for the bombastic inscriptions recording their triumphs, just as the even more bombastic Assyrians did. And, like the Assyrians, their civilisation seems to have collapsed when confronted by the brief hegemony of the Medes. They were energetic builders - of temples to their gods, and especially of fortresses. 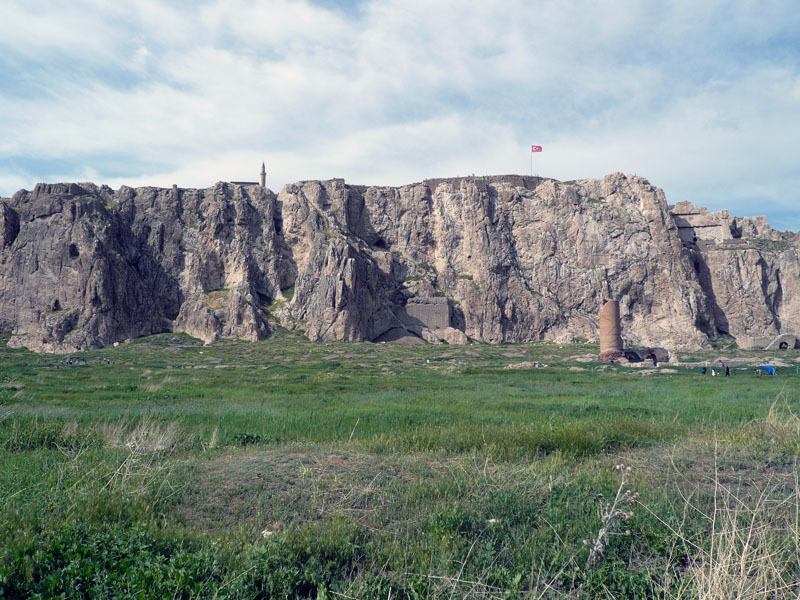 For 250 years an energetic people ruled a kingdom centred on Lake Van, now in Eastern Turkey, but an important part of what later became ancient Armenia. They left written records revealing a language with no obvious relatives, and fought off Assyrians and other invaders. Aramu 858 BC?844 BC. Possibly the inspiration for the legendary "Ara the Beautiful". 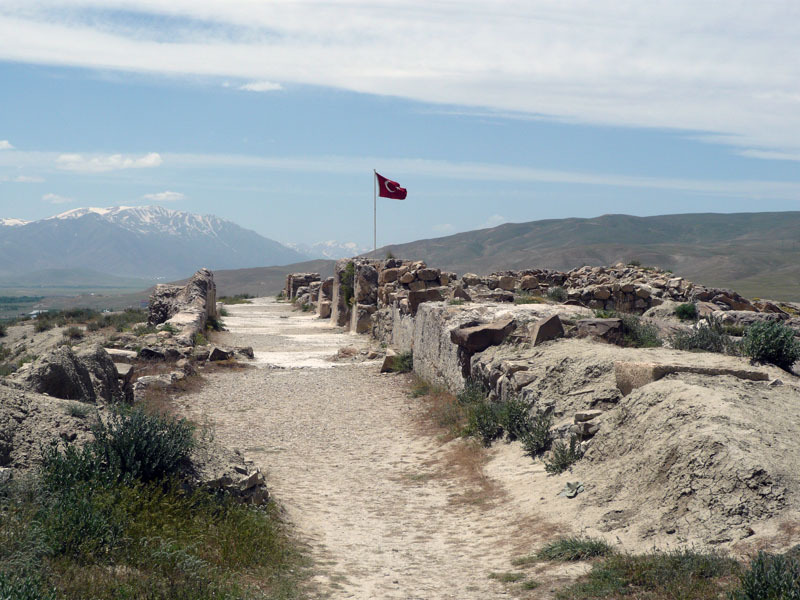 Sarduri I (also Sarduris I) 834 BC?828 BC; moved the capital to Tushpa expanded the fortress of Van. Ishpuini the Establisher 828 BC?810 BC; expanded the empire and conquered Mushashir (as described on the Kelashin Stele). Menua the Conqueror 810 BC?785 BC; greatly expanded the kingdom, organized the centralized administrative structure, fortified a number of cities and founded fortresses, developed a national canal and irrigation system - parts of which are still in use. 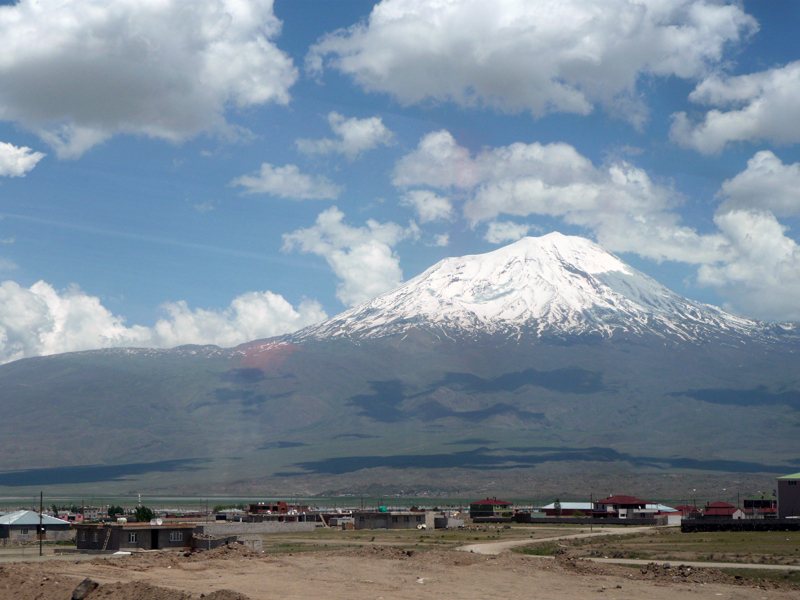 Argishti I (also Argishtish I) 785?763 BC; fortified the empire's frontier, founded Erebuni (modern-day Yerevan). Sarduri II 763 BC?735 BC; maximum expansion; zenith of Urartian power. Rusa I 735 BC?714 BC; Assyrian and Cimmerian attacks. Argishti II 714?680 BC. Defeat of Assyrians Peace and prosperity. Rusa II 680 BC?639 BC. The "Urartian Ozymandias" - builder of 5 huge fortified palaces. Rusa III 629 BC?590 BC or 629 BC?615 BC Possibly an ally of the Medes against Assyria. Sarduri IV 615 BC?595 BC. Invasion by Assyrians and Medes.